See if this log line sounds familiar to you: a group of winsome young people discover an adorable alien entity, stranded on Earth and sought after by shady government spooks, and work together to help get the little critter home. Everyone learns a lesson. Hearts are touched, tears are shed, and the roots of nostalgia take hold. Steven Spielberg pulled off this brand of manipulative melodrama to great, lasting effect with 1982’s E.T. : The Extra-Terrestrial. Flash forward to today, and screenwriter Henry Gayden and director Dave Green hope to pull off the same feat with the misleadingly titled Earth to Echo, sans Spielberg’s surfeit of vision and knack for spectacle. Those are some big, bearded shoes for Green and Gayden to fill. 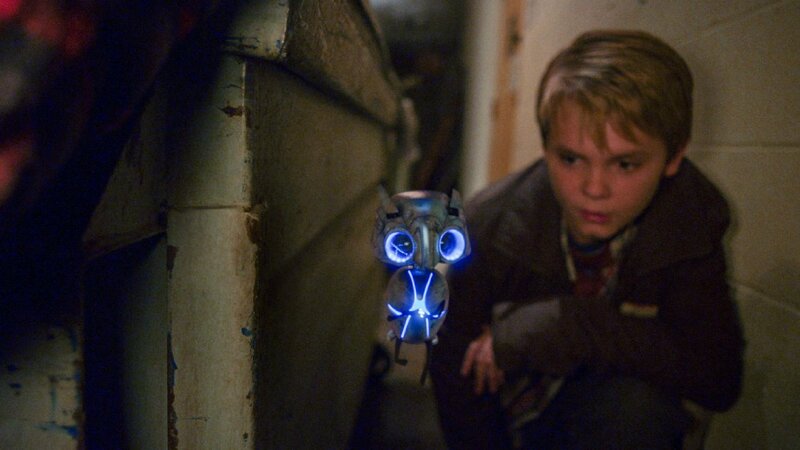 Critiquing a movie like Earth to Echo feels an awful lot like bullying a puppy. It’s a boundlessly enthusiastic effort, one brimming with warmth, heart, and the scrappy, reckless, slipshod energy of youth. It”s also, tragically, just a retread of the most iconic and lasting entries in Amblin Entertainment’s 1980s catalog, not simply E.T. but also The Goonies and *batteries not included (among others). Green and Gayden grew up on these films; it’s easy to understand the impulse to scratch their nostalgic itch through cinema, and even easier to forgive, because everybody does it, from J.J. Abrams to Michel Hazanavicius to Marc Webb to Woody Allen (and each to varying degrees of success over others). But Earth to Echo, perhaps more than films like The Artist or (500) Days of Summer, exemplifies the biggest problem with engaging nostalgia on celluloid: ultimately, Green and Gayden are just making a movie for themselves. The story focuses on a trio of friends – Tuck (Brian Bradley), Alex (Teo Halm), and Munch (Reese C. Hartwig) – on the cusp of parting ways. Turns out their neighborhood has been targeted for demolition by way of highway expansion. So the trio plan a proper sendoff by – what else? – investigating the source behind random, highly suspicious techno-shenanigans involving scrambled cell phone displays. The boys’ efforts lead them to the desert, which in turn leads them to Echo, the titular mechanized martian; huddled within the safety of an escape pod, he’s injured, alone, and marooned on Earth. He’s also wanted by Uncle Sam, but as kids so often do in movies like this, our prepubescent heroes won’t let Echo go without a fight. The appeal to the pre-teen set is immediately obvious, but Earth to Echo has such a strong undercurrent of fondness for its myriad influences that their parents might be the film’s true core audience. 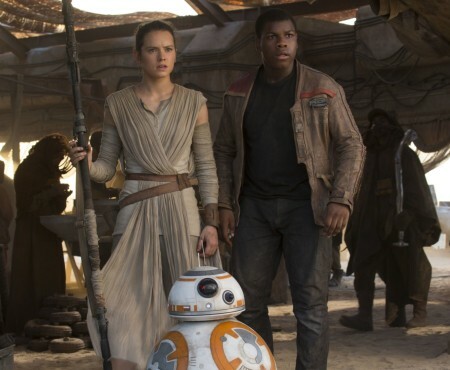 It’s age incongruity; the film may ultimately resonate better among people who grew up on the Amblin brand than emerging adults raised on a steady diet of Pixar, DreamWorks, and any number of offerings in the new and ever-expanding glut of YA fare. That doesn’t make Earth to Echo a bad film, but it does hint at an identity crisis and iffy intentions. Green and Gayden haven’t made a film for today’s kids; they’ve made a film for their inner kids, carbon-copying the best elements of E.T. and filtering them through a totally unnecessary found footage lens that lets them fudge on FX and get away with sloppy craftsmanship. 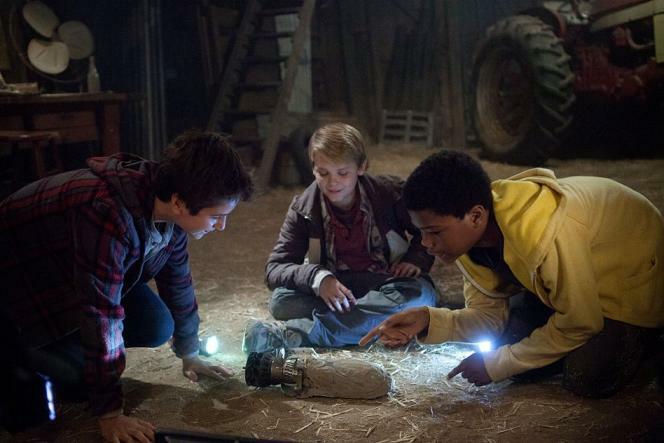 The real issue with Earth to Echo isn’t nostalgia. It’s everything that goes on within the film because it’s too caught up in its nostalgic elements, and there’s a difference between the two. You have seen this movie before. More to the point, you have seen it done better, and with greater cohesion. 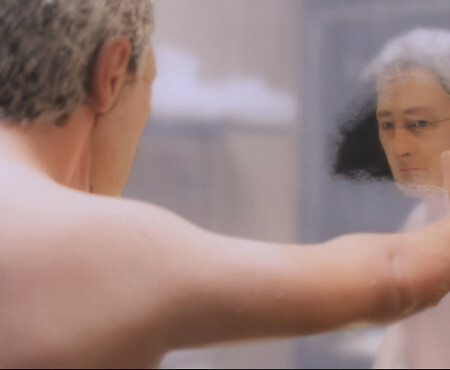 In under 20 minutes, the film’s emotional connective tissue gets elasticized, stretched out beyond all reason, and irreparably torn. By the time Echo appears (in what basically amounts to a bit role – he’s barely in the film), our incentive to care has been sundered. Considering how boilerplate Earth to Echo is, the amount of material that doesn’t land is shocking, though admittedly, most ten year olds may find it serviceably dazzling all the same. The film steals from the best, bungles the burglary, and collapses into a mercifully brief mess of brief CG spectacle; there’s a sense that Green just had a few cool sequences he wanted to get out of his head and commit to the screen, and if you’ve seen the trailer, you’ve seen them already. Good on Green for achieving that goal, but the minor victory doesn’t keep his picture from falling short of its ancestry.